Keep up on the latest headlines featuring Dr. Heck and his colleagues on the Antarctica project—watch related videos, listen to podcasts, and take a look at articles about the team's unfolding research! 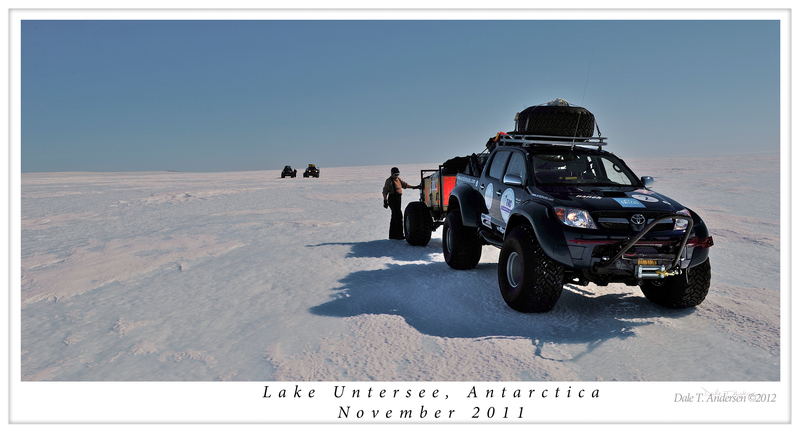 Gain another perspective on the Antarctica expedition by following the New York Times "Scientist at Work: Notes from the Field" column featuring blogs from Michael Becker, a scientific diver at Lake Untersee and a doctoral student studying under team member Dr. Dale Andersen. Check out videos showcasing Dr. Dale Andersen's research, and watch footage from his previous trips to Antarctica to look for stromatolites! "Donate Meteorite Covered in Stardust:" Take a look at the most recent meteorite donated to The Field Museum, and explore the Museum's meteorite collection with ABC Channel Seven's Frank Mathie. 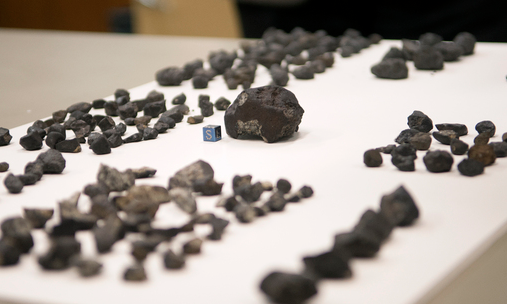 You'll meet meteor hunter and museum donor Terry Boudreaux and find out more about a meteorite that contains stardust and particles that are older than the sun and Earth. 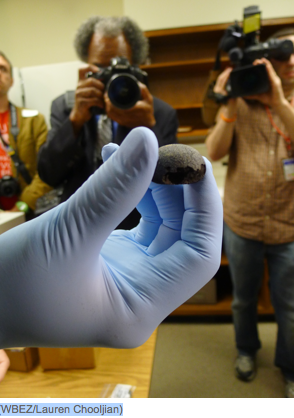 "Rare 4.6 billion-year-old meteorite finds home at Field Museum:" Listen to an interview with Dr. Philipp Heck in this WBEZ broadcast to discover what scientists can learn about our cosmic origins from a minivan-sized fireball that landed in California in April 2012. "Would you like to meet a meteorite? :" Hear more about the Mifflin Meteorite that fell from the skies above Wisconsin in April 2010, learn about the massive asteroid collision that created it 470 million years ago, and find out what materials it brought with it in this WBEZ "Science Experiment" interview with Dr. Philipp Heck. On View at The Field: Rock Stars from Outer Space: Check out a recent article by the Chicago Tribune det ailing the donation of pieces from the Russian The Chelyabinsk meteorite that fell on February 15, 2013, which were donated to the Museum'sRobert A. Pritzker Center for Meteoritics by collector Terry Boudreaux. "Meteorite Dust Hints at Solar System's Origins:" Learn more about presolar grains and find out how a merger between our Milky Way galaxy and a metal-poor satellite galaxy unleashed a burst of star formation in the Space.com article. 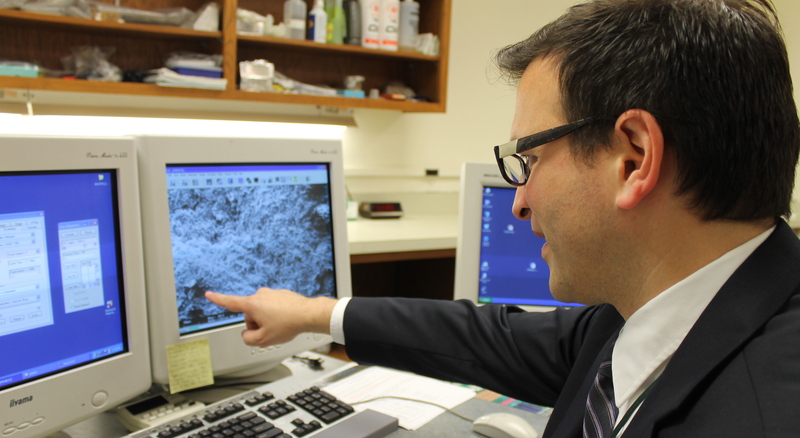 "Meteorite Grains Divulge Earth's Cosmic Roots:" In this Astronomy-Blog.com article, find out what Dr. Heck and his colleagues at the University of Chicago are learning from the Murchison Meteorite about the surprisingly youthful cosmic roots of the planets and life on Earth. "Cool Science Jobs in Chicago:" Get the scoop on what it's like to be a cosmochemist working at The Field Museum in this "Let U Be U.com" interview with Dr. Philipp Heck.